With the success of my last two articles with Ghislain “Gee” Brind’Amour, I decided to reach out to him again to see if he would be interested in doing something a little bit different . My idea was to do an interview/tutorial (all in one) where I would focus specifically on one part of a song that Gee mixed – in this case I chose to talk about mixing vocals. He sent me a few records to check out and I decided to go with a record called “Got to Get on” by Amos J. If you have the time, go check out that record and support him, it really is a great song. As far as the finished product, I would love to give all the credit to Gee because I feel like he nailed the mix but to be fair Amos’ performance was stellar. He really poured a lot of emotion into his vocals. So when I first sat down to listen to the record the thing that stood out the most was that the record didn’t seem “over mixed”. I felt like Gee did a good job of allowing the music to guide this record to the finish line. I asked him if this was a fair assessment or if the processing was just so transparent it was hard to hear. To me the balance of this mix was spot on. Everything is where it needs to be so that the listener can be told the story in the most efficient way. The vocals take the lead but the guitars are just loud enough to help support the emotion of the song, which is very important, at least to me. Now with the vocals in particular, I asked Gee if he could explain how he was able to achieve such a clean sounding vocal. 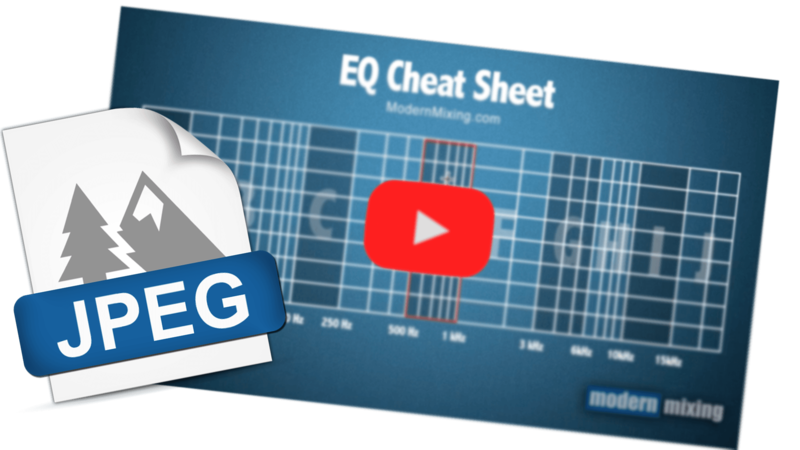 This plugin was used for gain staging purposes. 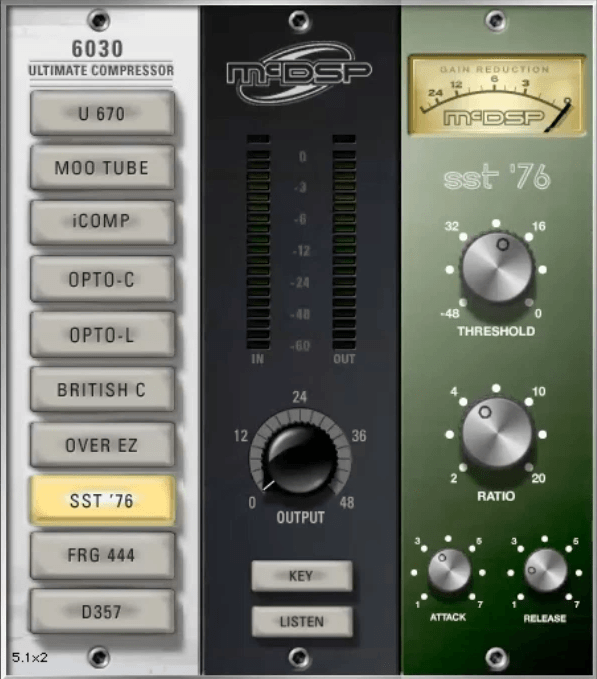 This plugin is being used for some of the analog colour. Gee went with the Neve because of its hyped highs and lows, which worked well for this vocal. “After the trim I have my trusty Steven Slate virtual console and I picked the Neve on this one. I usually audition them all to see what fits in the context of the song. 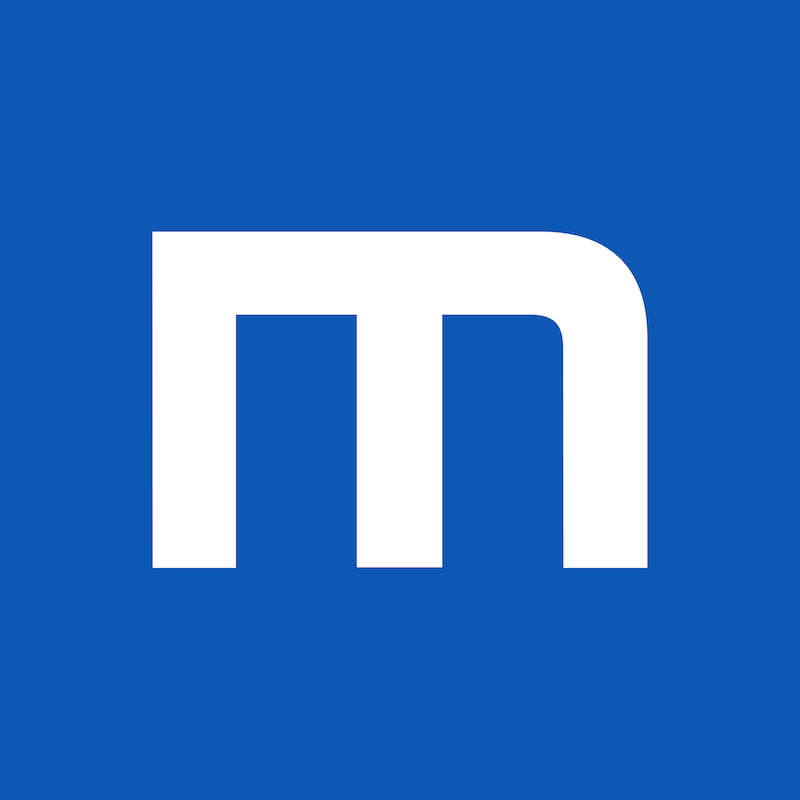 The MH Channel is being used to help shape the vocal into something that’s more useable in context with the rest of the record. 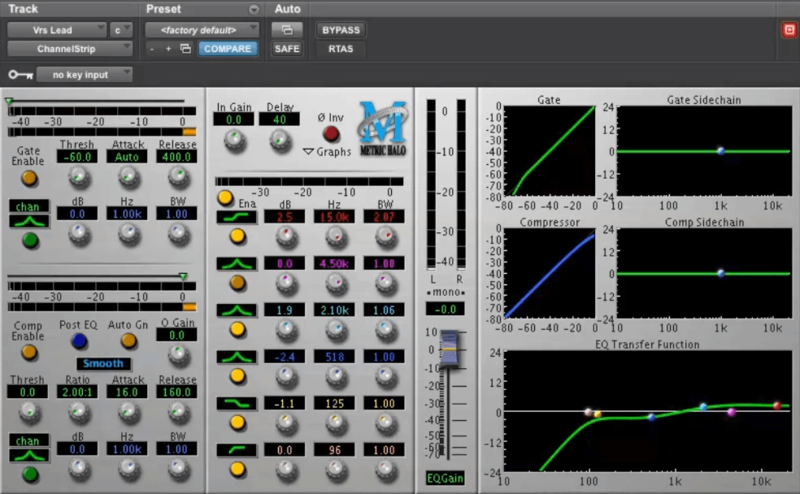 “After the VCB, there’s a little subtractive EQ going on. I’m cutting out that boxy area around 518 Hz using a bell shaped filter with a relatively wide Q and I’m also shelving out around 125 Hz because it was still a little muddy down there. There was also some boosts made at 2.1 kHz and 15 kHz to help open up the vocals around the mids and highs. 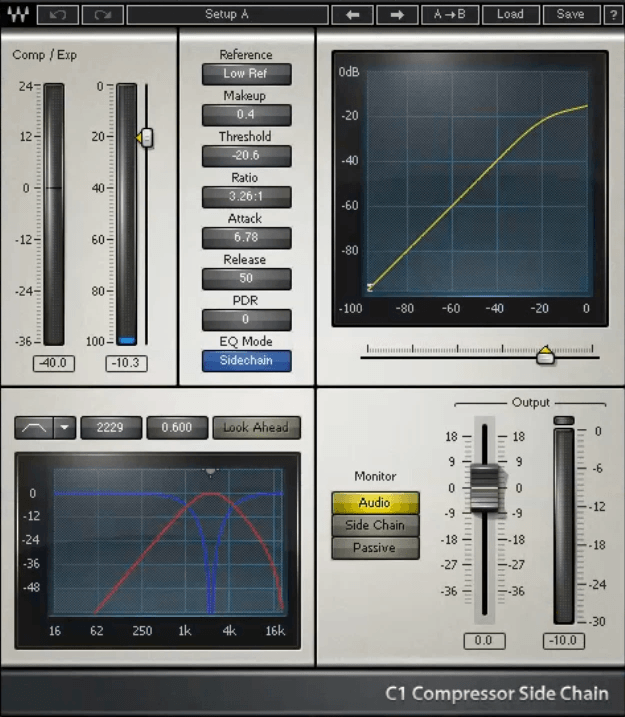 A little compression is being added to help smoothen out the vocal performance. “I’m not a big ratio guy, I have it set to about 4:1 which is usually my starting point. It’s rare that I go higher and I usually go lower to be honest. The attack was set with some trial and error but it kind of works with the rhythm of the vocal. I want enough of the vocal to come in before the unit reacts. I like a quicker release on vocals because I want it to come back fairly quickly to not being compressed any more. This compressor is being used in limit mode to help catch the odd peak that the 1176 compressor couldn’t. “This one here is like there LA2A but in Limit mode. This one is used to peak limit the vocals. It’s not super colorful but it works extremely well. It’s just tickling it. 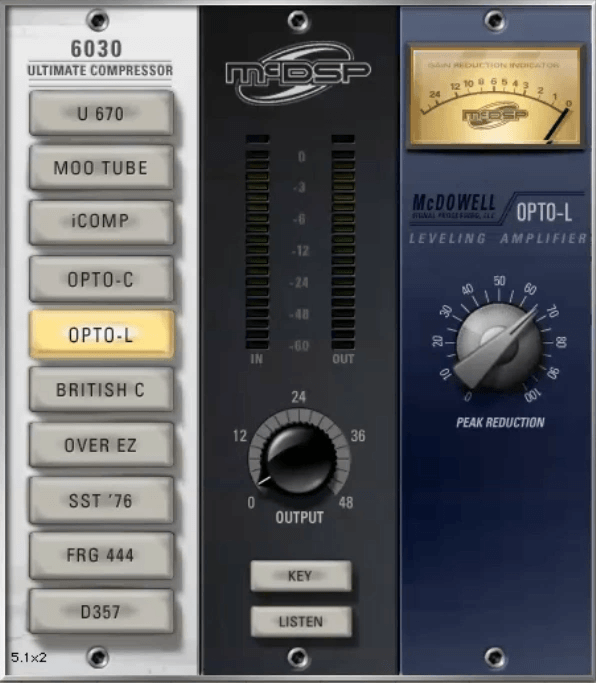 Often times this plugin is great for taking out a frequency that may have a bit of harshness to it. “This one helps smooth out the mid range because it’s compressing it. There’s nothing crazy going on in the gain reduction but it’s just enough to round out the mid range so that when I go to push it afterwards it’s not so aggressive. 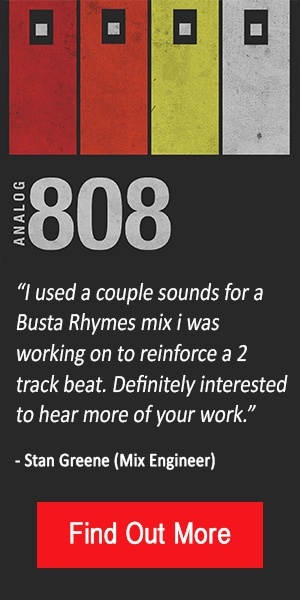 “I used this essentially to sweeten out the vocals; it’s not surgical by any means. The top end is wonderful on it because you can drive it pretty hard and it’s rare that it will sound aggressive. Gee was very generous with his time in helping get this Video/Article together. I like talking to Gee because he’s constantly searching for new tools and strategies to up his mixing game and in turn I always end up learning something from him. I decided to split this up into 2 parts just because of the amount of information was too much to fit into one sitting. Once you are finished reading or watching, please go and check out Part 2 where we deal with effects, parallel processing and automation. If there is something that you didn’t understand or maybe you just need clarification, Gee has agreed to answer your questions in the comments section below or in the YouTube video comments.